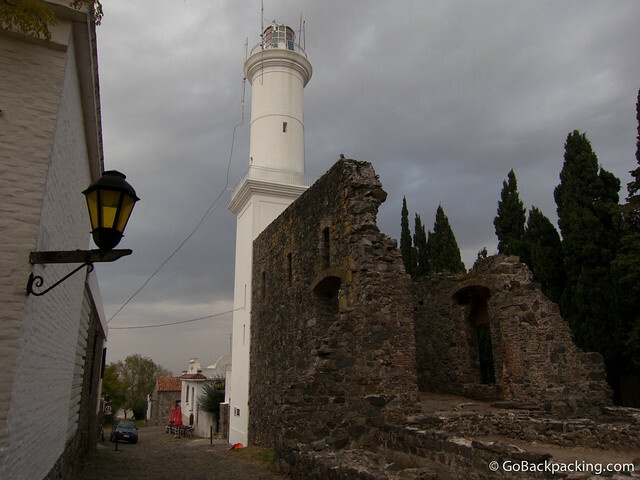 Colonia del Sacramento is Uruguay's oldest city. Founded in 1680, the historic center is listed as a UNESCO World Heritage Site. And because it's only an hour's ferry ride from Buenos Aires, it attracts loads of daytrippers. Visitors' reactions to Colonia vary from “must see” to overrated, but I believe the experience is what you make it. The historic part of town is incredibly small, and can therefore be walked in little more than an hour. Throw in a some window shopping, dinner, and a sunset, and you've got the makings of a great afternoon. If you've got the time, I recommend spending the night. Or you could escape for the weekend, spending one night in Colonia, and the other in Uruguay's capital, Montevideo, which is only two and a half hours away by bus. 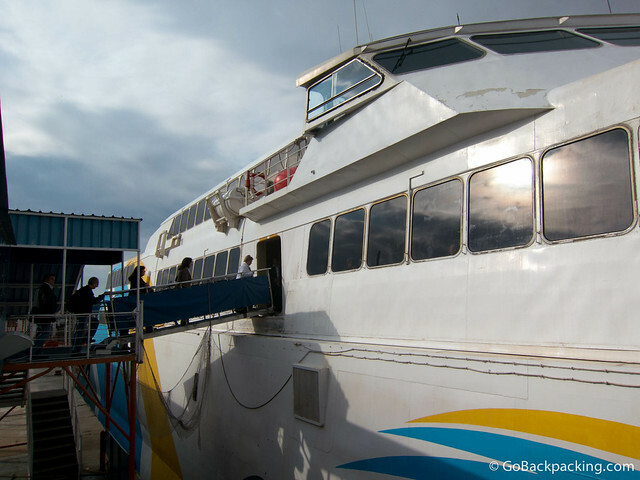 Three companies run ferries between Buenos Aires and Colonia. To save money, book in advance online. The ride from Montevideo takes 2.5 hours, and costs 233 pesos ($12). In Colonia, the bus terminal is conveniently located adjacent the ferry terminal, and both are within an easy 5-10 minute walk of the old city center. During the day, you can just walk to your hostel. If you're arriving at night or prefer a taxi, the cost is 60 pesos ($3). Colonia's old city is generally safe, with clearly marked street signs and plenty of maps to help you get your bearings. Most visitors to Colonia, especially those on day trips from Buenos Aires, need only a comfortable pair of walking shoes. There are a lot of cobblestone streets in the historic area. There's little need to rent a bike unless you're looking to get some exercise. 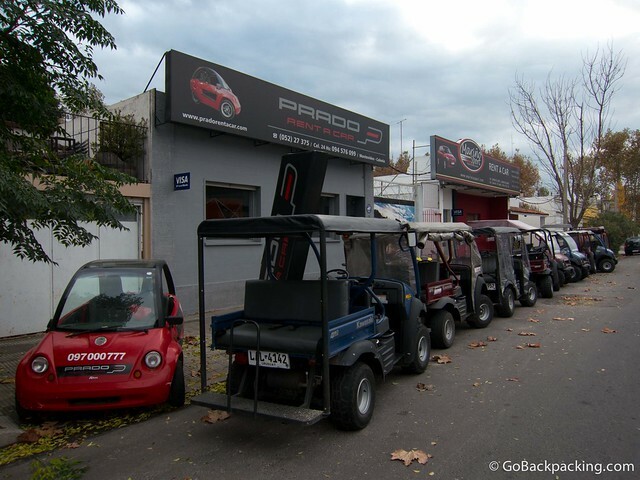 And the golf carts are even more of an enigma, though I do know friends who rented one simply to kill some time before their bus to Montevideo. Taxis are available, and metered. Local city buses are available, but again, not necessary if you're just visiting the old city center. If you plan to spend the night, it makes sense to get a hostel near the historic city center, which allows you to walk both there, as well as to the bus and ferry terminals. El Viajero (Author's Pick) – Washington Barbot 164. 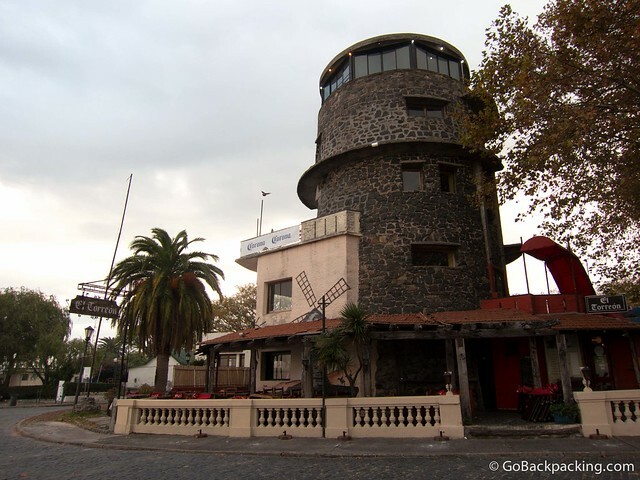 Located between the historic city center and the bus/ferry terminal, this hostel is part of a chain of hostels in Uruguay, with locations in Montevideo and Punta del Este as well. It's part of Hostelling International, so you'll get a discount if you've got the membership card. Sur Hostel – Rivadavia 448. Owned by two Uruguayan friends, who also run a hostel in Montevideo. Also located close to the bus/ferry terminal and old city. Lighthouse – You can climb the lighthouse for a bird's-eye view of town and the river. 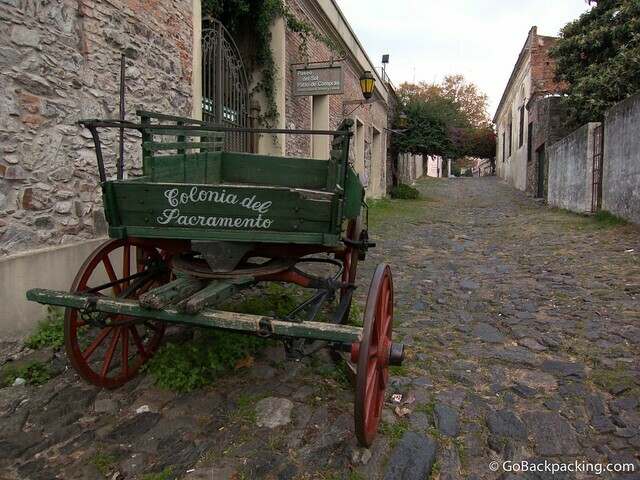 The Old City – Colonia's charm lies in its cobblestone streets and alleys, and the remnants of the old walls which use to protect the city. It's so small you need not worry about getting lost. For more ideas on what to do, you can check out the Colonia tourism site. If you're in Colonia for lunch or dinner, chances are you'll come across a restaurant that catches your attention as you walk around. Realize most will be overpriced, as the old city is priced for the tourists, not the Uruguayans. 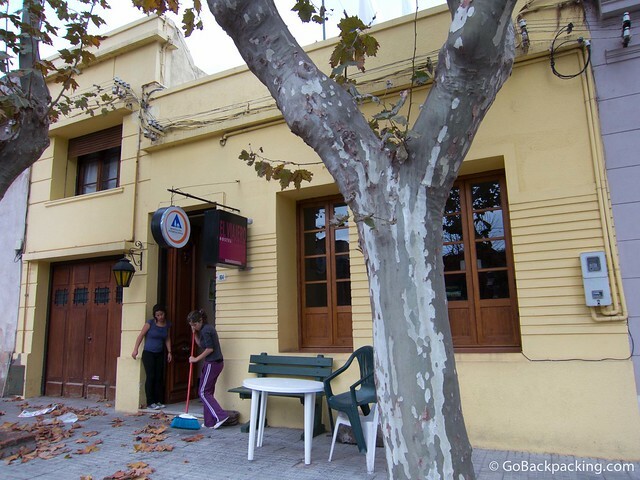 El Porton – Gral Flores 333. A well-rated steakhouse on TripAdvisor. 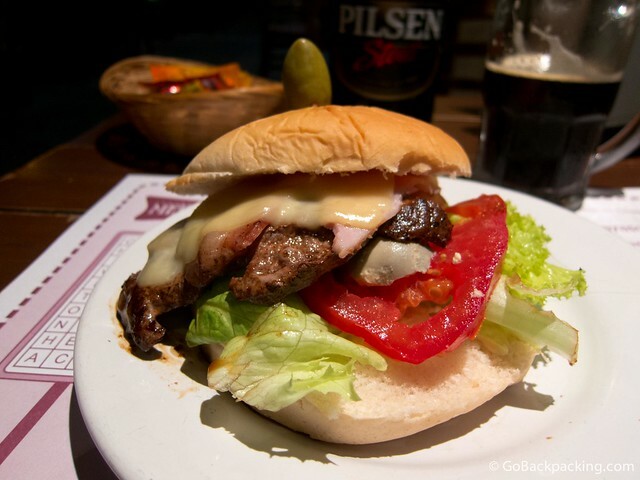 Go here for a taste of traditional Uruguayan cuisine. La Bodeguita – del comercio 167. Casual pizza place with a terrace and view of La Plata River. If you're sticking around for the sunset, there are a bunch of bars which face the river, and feature outdoor seating. Are you familiar with the Colonia nightlife scene? Please contact me here to send me a few more recommendations. Include the name of the bar, address if you know it, website address (if one exists), and a sentence or two describing the vibe, music, and why it's cool. Gracias!